Film technology entrepreneur Aliesha Staples’ career mirrors the rapid advances in technology that have impacted her industry over the past decade. 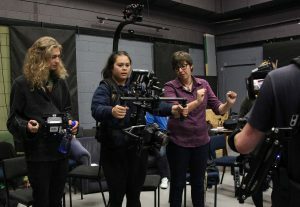 Aliesha started her career in the Auckland film industry working in the camera department when she was 18. 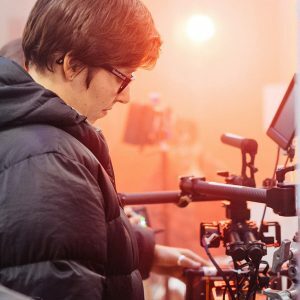 After a few years here, she moved offshore and was quickly working with emerging film technology such as drones and gimbals in South America and South Africa. When she returned to New Zealand in 2014, she found a massive gap in the market. “No-one was using stabilising equipment or heavy lifting drones. 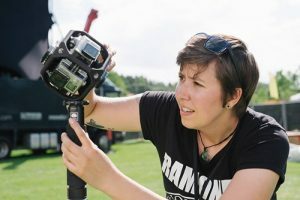 So, I started my own rental company focusing on drones, specialised cameras for hot and wet environments and custom-built camera rigs,” she explains. Before long, StaplesVR expanded into making 360° video and using the high-tech rigs to capture images for virtual reality (VR) projects. Virtual reality first took hold in the gaming and entertainment industry, but it has been increasingly adopted by other commercial sectors. When Aliesha started her own company, VR didn’t exist, or at least not to the scale it does today, so her entire career has changed and adapted as the technology has. “We have moved from a rental company for the film industry into both that and a virtual and augmented production company with in-house developers, game designers, cinematographers and post-production teams. All our crew are trained traditionally in 2D but have rapidly upskilled into the 3D VR field. Aliesha says VR and augmented reality is now being used in wide range of disciplines from aviation training to patient education in the medical sector. “We can use VR to help ease patients’ anxiety by introducing them to the experience of high-tech therapies before treatment begins. VR can reduce anxiety and stress levels so less sedatives are required. For example, this is working well for children requiring non-invasive procedures,” she says. Aliesha says the biggest technology change about to hit New Zealand will come through the introduction of 5G networks. “5G has already been dubbed the fourth industrial revolution,” she says. Aliesha believes 5G will completely change the way we access, retrieve and upload information. Its speed and bandwidth will allow digital advances that will impact our lives in ways that we are just beginning to appreciate. 5G will be the enabler for the much-vaunted Internet of Things where information flows rapidly from device to device. It will be the connector for autonomous vehicles and it will enable further and rapid expansion of virtual and augmented reality. She also sees virtual reality being used more and more for training people who work in complex environments or who have limited opportunities to have hands-on experience. 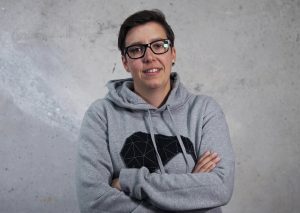 Aliesha Staples is speaking at the 10th Anniversary Global Women Members’ Hui, which is taking place in Christchurch from 16-18 May 2019. She will be talking about new technologies and how they will change business and people’s lives.